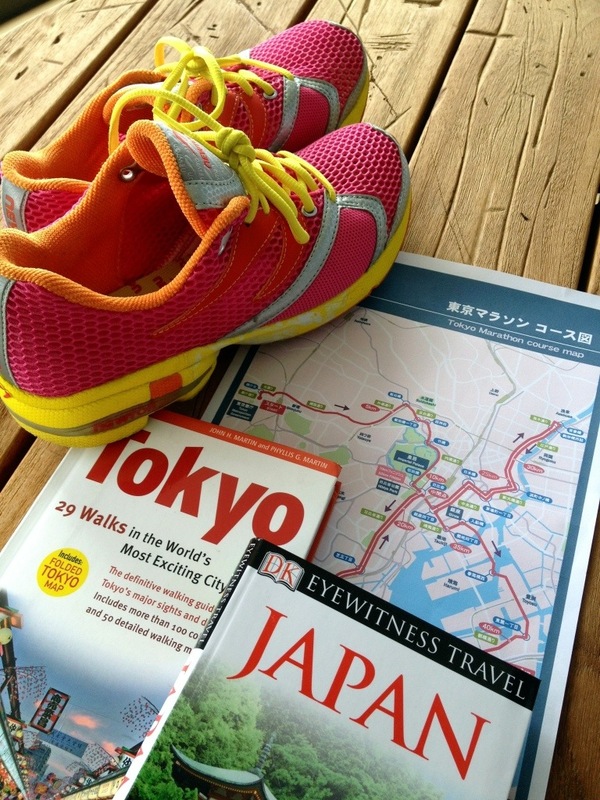 There is only 6 weeks to go before I stand at the start line at the Tokyo Marathon 2013 on February 24! Saying that I am nervous is only an understatement since I am seriously undertrained. My stress fracture is stil healing, and I’ve not spent much time on my foot. Bursting my lungs out in the pool deep water running while GR8T, doesn’t cut it especially since that one runs on dry land for a marathon. Although I have been to Tokyo a few times already and they were all business trips, where I got chauffeured around from hotels, offices and restaurants -so I only have an inkling of an impression of Tokyo. And the last time I was in Tokyo was back in 2010 for a whirlwind museums studies trip. This time, I want to pig-out at Michelin restaurants, be a little more adventurous and take best of all, take a trip out of Tokyo! To make my trip to Japan an exciting destination race, I have been browsing through blogs, websites and guides for über chic place to shop, see and eat. So, I am lucky to learn months beforehand that in order to score a table at the Michelin restaurants in Tokyo, one needs an advanced reservation of 2-3 months. One also have to do a bit of research, for example read lots of blogs and peruse all the pictures posted until the dishes become second-nature, in the process, losing some mystique. Still, I hope I can manage to squeeze out some element of surprise when I finally get to sample those exquisite dishes! Also, most restaurants only accept bookings from the hotel concierge for overseas visitors and require a credit card to secure the booking, neverteless, one still need to reconfirm 1 week ahead. So, that’s why I chose to stay 5-stars – not only for the rooms, but for the services of efficient Concierge services. Much read and very highly regarded restaurant. Came out TOPS in all reviews. The chef refused the Michelin rating one time a many! This is the 2nd restaurant by the award-wining Chef Okuda. His main restaurant is ‘Ginza Kojyu’. There is much debate online about the qualities and differences of the 2 restaurants, but I read from reviews that he personally come to cook Saturday lunch in this ‘Ginza Okuda’, so thus, a booking made! Dinner: Not sure what to have on the eve of the Marathon, but perhaps carb-loading via a French- styled soba place at Fumotoya Keio Plaza Hotel? There are only 8 seats per seating. 2 seatings per night : 6pm or 8:30pm – let’s see if it floats my boat! I couldn’t find any reviews on TripAdvisor, however the write-ups in glossy mags were really good. Overnight @a traditional Japanese Ryoken, with shared bathrooms – YIKES!! Overnight @same Ryoken, but am thinking of going direct to Kanazawa after the day trip. Seriously, can it be that HARD to find a luxe eats in Hiroshima, the only place that kept popping up is Kanawa. I read mixed reviews on it, but personally, why would I want to pay top $$$ to dine on an old shabby house boat? (tel 082/241-2210) 5-13 Shintenchi, Hiroshima. Open: 11am-9pm, but some stalls stay open later. NY Times suggested stall is Chii-Chan. This is an Art Island, akin to Cockatoo Island here in Sydney. Night program ‘James Turrell’s “Open Sky” Night Programio’ 17:50 – 18:55 (Only for the guests staying at Hotel Benesse House) @ChiChu Museum designed by Tadao Ando! This only is another toughie! Booked online through their website, but got a confirmation that they have received my request, but the confirmation will only come through 72 hours prior to my requested date! So, I have to seek my hotel’s concierge for assistance. I managed to secure it after paying up-front via PayPal. 6,500 JPY Tasting Course (tax and service charge not included). March 12 (Tuesday): HOMEWARD BOUND! Still deciding on the 9am flight or 6:20pm flight…. Lose some serious weight and Start training for Paris Marathon 2013 pronto! This entry was posted in Australia, Running, Tokyo Marathon 2013, Travel and tagged Destination Racing, Itinerary, Michelins, Tokyo Marathon 2013, Tokyo Michelin Restaurants. Bookmark the permalink.